Set in the wider context of a turn towards space and mobility, studies of the sea have come to take increasing prominence in the humanities and social sciences. This volume seeks to establish an interdisciplinary exchange on the theme of ‘sea narratives’, looking at how the sea has figured as an important site in different cultural and geographical contexts from a variety of disciplinary perspectives. The collection will explore how humans have interacted with the sea through trade, labour, migration, leisure and exploration; how the sea has figured in national contexts as a site of geopolitical control; and how it has featured in the cultural imagination as a space of danger and the unknown, but also as a source of inspiration. Historically the sea has been a space of possibility, representing the potential of travel, exploration and trade; it has also been a site of conflict and contest, where warfare and geopolitical disputes play out. From poets such as Derek Walcott, who links the sea powerfully with colonial history, to artists such as Paul Morstad who uses old maps as canvases for fantastic creatures, the sea has inspired a range of creative responses that generate new questions about its power and possibilities. This collection seeks to investigate these varied, contested and provocative ways in which the sea has been chronicled. Contributions are invited from disciplines including (but not limited to) geography, history, literary studies, media studies, and art history, that focus on the theme of “sea narratives” from the 1600s to the present day. The collection will span geographical locations, taking as its premise the idea that sea narratives benefit from trans-national study. The concept of ‘narratives’ is interpreted broadly, to encompass fiction, travel writing, poetry, film, documentaries, oral stories, and other historical sources. As part of my visit to Brussels I attended the events organised by the Brussels Brontë group, who hold an annual Brontë weekend in March/April. This year the speaker was Dr Nicholas Shrimpton from the University of Oxford, and his subject was Charlotte Brontë’s novel Shirley (1849). It’s fair to say that this is the least favourite of Charlotte Brontë’s novels, among readers and critics alike, and from the time of its publication to the present day has attracted far less interest than Jane Eyre and Villette. I’m in the minority who find the novel both enjoyable and of academic interest, and having taught Shirley a couple of times on The English Nineteenth-Century Novel I’ve definitely gained a much greater appreciation of it – it’s a pleasure to teach as there is simply so much to say, and the novel is rich with interesting scenes to analyse in light of gender and political debates (it’s also one of the few novels where I find myself wanting to really persuade students of how much they should love it, something I usually try to resist!). But it has to be said that much of this interest, and indeed the novel’s scope for analysis, comes from its problematic nature in terms of thematic and structural integrity. It this that formed the basis of Nicholas Shrimpton’s talk, in which he assessed the case for and against Shirley, exploring in detail both the novel’s problems and its possibilities. Most interesting was that Shrimpton made the case for Shirley as a ‘panoramic’ novel on a par with Thackeray’s Vanity Fair: we know that Charlotte Brontë greatly admired Thackeray’s work, and Shirley, he argued, is her attempt at undertaking a novel of such scale and scope. Ultimately, it is hugely flawed, but it is also hugely ambitious. Shrimpton really captured that what makes the novel so exciting is the many fractures and disjunctures that occur throughout the text. The text’s handling of the “woman question”, and its eventual ‘failure’ at sustaining proto-feminist arguments, is an apt case in point: while on the one hand, the final marriages of Caroline and Shirley come as a disappointment after the novel’s earlier promise in questioning and challenging gender conventions, at the same time it is here that Brontë most usefully illustrates the strength of such conventions and the need for change – for both the women in the story, and for the woman writer, there simply is no other realistic option but to end with a marriage. Shrimpton also highlighted other contextual issues that are illuminating on how we read it – he focused particularly on the Luddite/Chartist conflation (or not), and also spoke of Brontë’s worry that the text would be read as too similar to Elizabeth Gaskell’s Mary Barton, published the year before. It was also interesting, in light of my literary geography excursion that weekend, to hear Shrimpton discuss the idea of ‘Shirley country’ (as distinct from ‘Brontë’ country’) as well as talking about the novel’s continental connections. The talk was an excellent reminder that Shirley deserves more attention as perhaps the most interesting, and certainly illuminating, of Charlotte Brontë’s works. 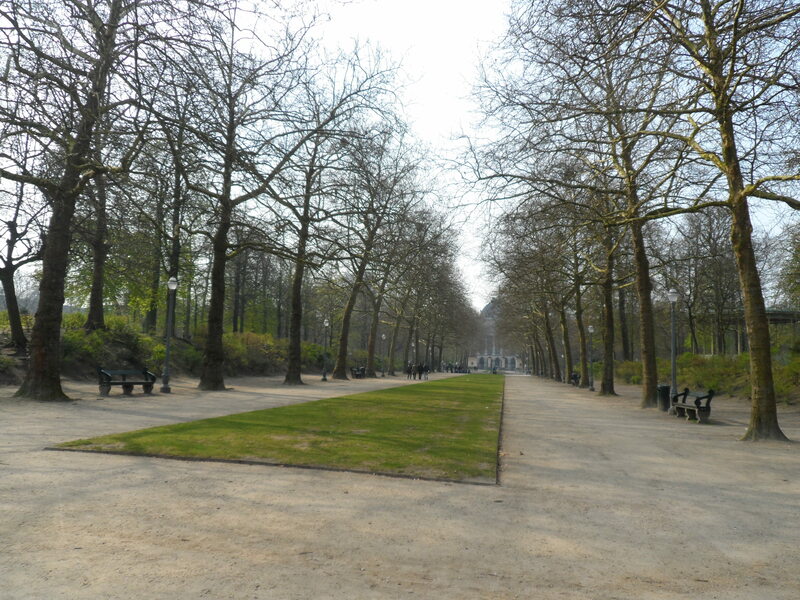 Yesterday (31st March) marked the anniversary of the death of Charlotte Brontë, and it is fitting that I have just returned from a weekend exploring an oft-overlooked part of her life: Charlotte Brontë’s time in the city of Brussels. Although it is well known that two of her novels, Villette (1853) and The Professor (published 1857) are based on her time as a student and teacher in the Belgium capital, the importance of Brussels is typically given less attention other than as a topographical reference-point for her novels. In my research I’m exploring the legacy of Charlotte Brontë in Brussels over the past 150 years, and this visit was the first step in seeing the sites for myself and meeting the Brussels Brontë Group: the group’s regular events and tours bring together people of all nationalities who are united by their love of the Brontës, with a special interest in Emily and Charlotte’s time in the city. I had a wonderful time attending a lecture (more of which in the next post), having dinner with the group to talk all things Brontë and Brussels, and then going on a walking tour of Brontë locations. I also retraced the route alone, and what follows here is a photo-essay of my journey around this lesser-known “Brontë country” – if you’re unfamiliar with the Brontë story, you can start by reading more about what brought the sisters to Brussels, and how it influenced their work, here.